Posts: 1 I agree with you, sir. Although the value of a C-4 is not on the level of earlier Corvettes, they represent a major upgrade in styling, and I believe that tin time they will appreciate in value, and I really enjoy owning this genre of Corvette. It is the second C-4 I have owned. I am very proud to drive it. Posts: 1 I bought my C4, 1990 convertible last fall with 38000 miles. She's in really nice original condition, white with red leather and a white top. I've taken her long distance 4 times - I bought her to drive. I bought her quite reasonable and I've put on a new seat track, replaced one headlight motor, put on 4 tires, replaced a missing lug wrench, had the body shop adjust the passenger door and window to the soft top, and today it is in the shop for a Lateral Accelerometer to satisfy the "service ABS" light. I'm delighted with my purchase. I think I got a lot of car, for the money. If I'm extra lucky, it will appreciate. Posts: 5 I agree with you!! I purchased a 1996 C4 with 67K and love every minute of it. The only thing I have done so far is a routine service, clay bar and drive it. Heck, and it gets great gas mileage!! (when cruise is set). 1994 Sting Ray, Dk. Red, Auto, 5,7 L.
Posts: 2 I just bought my first Corvette this summer, waited 30+ years to do it. 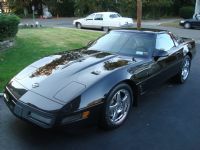 I graduated high school in 1984 and still remember all the hype of the new Corvette coming out, the delay, skipping a model year, it was all I thought about. Life happened and I have had all types of vehicles. I just sold a mint 1971 Pontiac Lemans that I have had for 20 years. I decided it was time, and began the search. I read all the forums, and figured I would end up with late model C4, but after looking at 40+ cars, my 85 found me. She has 36,000 pampered miles, 4+3, red with saddle interior and the feeling I have when I see her in the driveway is priceless. Invest in 401k's and if you are buying a Corvette for investment purposes, please don't, let someone fool like me own is dream. Posts: 76 Welcome to the C4 world. How about a pix of your car? Posts: 68 Love reading all the posts. On October 2016 I purchased my 1988 Red Corvette convertible with 68000 at the age of 73 I had always wanted a corvette. The car is like new inside it had been repainted and it has a re manufactured Jarvis transmission. The car runs good no oil burning and all the power I need love the way I can excel through the curves and love the low end torque. It has cost me about 1500 in repairs due to me being and old fool and trusting the dealer I never do that but this corvette was calling my name. I will never get my money back but with the top down, cd blasting 60's music and my wife singing she knows every line of all the songs this is incredible as she is in her fourth year with Alzheimer's which hits short term first. Next year I will buy chrome rims for her the car not my wife. It is nearing the time to store our cars for the winter as we usually get our first snow in November up here in New England. Take care!!! There will always be a corvette in my garage from now on. Posts: 3 I was on the fence between a C4 and a C5, and ended up with a 96 Collector's Edition Convertible. Wanted one to drive not a garage queen, but I only drive it in good weather. Took me several months to find a nice one and I hope it does increase in value someday. My biggest worry is which one of my daughters is going to end up with it since they both want it, LOL. Setting aside the cars value, it will be around for some time to come. Posts: 48 Solution for your daughters: You should buy a second one! Posts: 3 I will join in with the last post. I've had 2 C4's, an '89 then bought a '95, both convertibles. I traded the '89 on an '02 convertible and then I traded the '95 on a '14. Sometimes wish I had kept the '95 and traded the '02, trouble is I liked the '95 and miss it. I am seeing my C7 go down in value and wondering what will happen when the C8's come out. I have talked to the person who bought my '95 and told him I would like first chance if he decides to sell it. I guess since the C4 was my first model, still holds for me. I love all Vettes and love to drive them - that is why I have them. Posts: 32 One of the best rebuttals to the idea of a C4 being worthless was posted yesterday on Corvette Online by Dave Cruikshank. "In fact, it was twenty years this year that the C5 debuted with the LS engine. If you really want to nit pick, Dave McLellan,s C4 was the first modern Corvette, debuting in early 1983, and every model since, save for the upcoming mid-engine car, has been a spit-shine burnishing of that blueprint." Posts: 11 Rock on! I bought mine at 72 and love it. You're only old once!! rtslt4 said: Solution for your daughters: You should buy a second one! LOL, I just tried to do just that. I did escape with my life and spare change. Posts: 11 I love conversations about the value of C4 corvettes. I think folks don't really understand the value until they drive one...and then they realize what an incredible value a C4 really is. I have two (35th and 40th Anniversary, the 40th is a Z07 too). Every time I drive them, I am left smiling ear to ear thinking about what a fantastic value each is (which BTW I did last night after a nice wash/wax)! I don't think any other car for the money can compare to the C4 Vette. I think as more people learn this, the values will climb. I have a built 90 5.0 Mustang (race springs, big sway bars, hot engine, etc...)...even with all the work, the Vettes drive so much better. I agree every time we take it out I catch myself smiling and my wife of 52 years says, "you really like this car", yes I do. Top down and 60's playing!!!! I will most likely never get my money back let alone appreciating in value, but I did not buy for that reason FUN was the reason and I always wanted a CORVETTE!!!! Oh my number one fun car was a 1977 Bradley GT VW kit car which I built from various VW parts drove it 4 years winter and summer and never had an issue not even a light bulb burnt out. Cost with kit and all donor parts came to $4800 including a custom soft top to fit the T top set up in the summer. Sold it as I did not want my son driving a body molded on a wood frame and the car being no more than about 40 inches high and weighed about 1100 lbs. Take care and Happy motoring!!!! Mine is a 1991 Convertible. Bought it cheap and it's mostly a driver. Looks good from a small distance and have had many compliments on the way it looks. It's not so much as what it's worth as how much fun you can have with it. With it not being a show car I drive it every chance I get. It's got about 120,000 miles on it and still runs great. Love it and for the time being won't be getting rid of it any time soon. Posts: 14 I was not looking to buy a Corvette, I had never driven one or ridden in one. Then one day my children came in telling me their step grandmother wanted me to buy her a 94 C-4 for $6000. I could not get over there fast enough to pay her. It had 69,000 miles on it. Of course I had to put tires and a few things on it needed fixing, but it is worth every penny I paid for it to me. I do not care if everybody else is happy with my purchase but I am tickled to death. 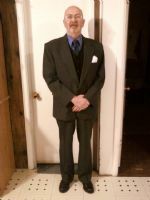 I have had it for three years and just turned 60 years old. I am not worried what other people care about it as long as it makes me happy. Just keep enjoying your ride and travel safely.